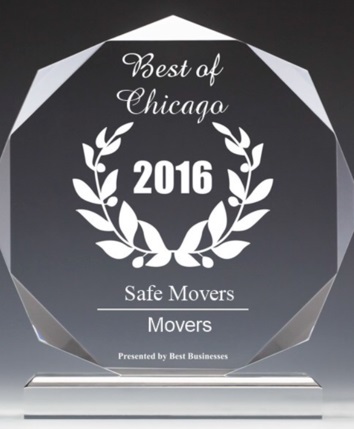 We are Chicago Safe Movers, LLC Are you in the Chicago, Chicagoland area? If you need to move a GUN SAFE HEAVY GUN SAFE MOVING SERVICE, SECURITY SAFE, JEWELRY SAFE, then we are the organization of choice. Our company handles safe moving services 360 days out of the year. Should you require a reliable SAFE MOVING SERVICE then contact us. We have 23 years of experience. The history of our company will show that we have successfully performed moving safe jobs that have required safe hoisting up down stairs doesn't matter we get the job done. We also do heavy jewelry safes in a variety of situations, venues and times days of year. In all cases we have delivered on our promises and accomplishments are many and don’t worry about our legal business standing, we are both insured and licensed. 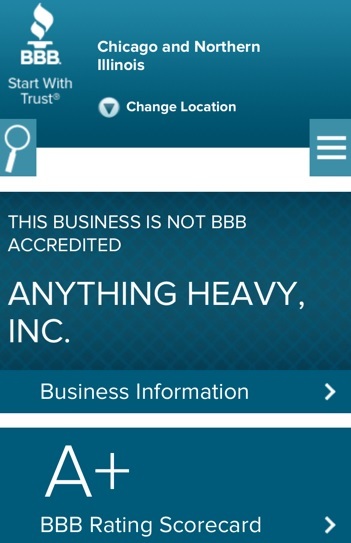 We have a A + BBB Report that speaks volume about our company. We pride our work and our pricing is reasonable but also highly competitive. Please bear in mind that we will go the extra mile. If you experience the need to perform a move that obliges you to bring your gun safe along then we know the complete solution, beginning, middle and end. Furthermore, we fully understand how important your safe is to you in getting it moved. It doesnt matter what their shape or weight or distribution. We know how to move them – safely moving safes up or down stairs no problem. Contact us for an estimate and a schedule. Your move can be either weeks away or on or short notice as in today tomorrow and we can still get your safe moved. We have a history of good standing and moving safes and our customers who will endorse our work. They will affirm our integrity and expertise. GUN SAFE MOVING FOCUSING ON WHAT WE DO BEST. 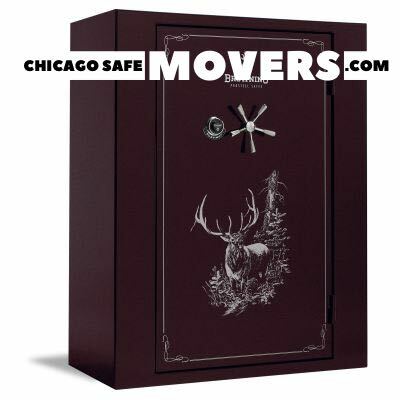 WE MOVE GUN SAFES, JEWELRY SAFES, SECURITY SAFES. Cities We Service: Chicago, Chicago IL, Chicago Illinois, Illinois, IL, Chicagoland, Illniois, Blue Island, Northbrook, Highwood, Gary, Oak Lawn, Matteson, Homer Glen, Lincolnshire, Warrenville, Streamwood, Gurnee, Wood Dale, Matteson, Sugar Grove, Lake Forest, Vernon Hills, Elmwood Park, Lyons, Broadview, Joliet, Countryside, Cicero, Winnetka, Island Lake, Buffalo Grove, Willow Springs, Park Forest, Elmhurst, Deer Park, Palos Park, Evergreen Park, Lake Station, Romeoville, Great Lakes, Aurora, North Aurora, Brookfield, Crestwood, Oak Brook, Wilmette, Hinsdale, Hobart, Plainfield, Oakbrook, Oakbrook Terrace, Homewood, Summit Argo, St. John, Spring Grove, Algonquin, Westchester, Grayslake, Lake Bluff, Montgomery, Hammond, Crystal Lake, South Holland, Frankfort, Westmont, Villa Park, Willowbrook, Channahon, Oak Park, Riverside, Chicago Heights, Dolton, St. Charles, Bourbonnais, Wilmington, Midlothian, West Chicago, Hanover Park, Lockport, Norridge, New Lenox, Lake Villa, North Chicago, Wonder Lake, West Dundee, Palos Hills, Antioch, Northlake, Lincolnwood, Bedford Park, Highland Park, Winfield, Melrose Park, Wauconda, Monee, Oak Forest, Niles, River Forest, Lansing, Pilsen, Highland, Lake in the Hills, Hoopeston, La Grange, Crest Hill, Mundelein, Steger, Des Plaines, Dundee, Kankakee, Darien, Zion, Arlington Heights, Skokie, Lindenhurst, Cedar Lake, Deerfield, Woodstock, Carol Stream, Yorkville, Burbank, Harvey, Glencoe, Schaumburg, Glendale Heights, Mount Prospect, Glenview, Round Lake, Carpentersville, Fort Sheridan, Bannockburn, Third Lake, Oswego, Bartlett, Berwyn, Rosemont, Country Club Hills, Lombard, Mokena, Chicago Ridge, Riverdale, Elgin, East Chicago, Hillside, Lisle, Harwood Heights, Waukegan, Cary, Hickory Hills, Forest Park, South Barrington, Bradley, Hazel Crest, Aurora, Wheeling, Libertyville, Ringwood, Huntley, Elk Grove Village, River Grove, Schererville, Palos Heights, Prospect Heights, Fox Lake, Park Ridge, Chicago, Morton Grove, Bridgeview, McHenry, Glen Ellyn, La Grange Park, Schiller Park, Bloomingdale, Alsip, Addison, Tinley Park, Wheaton, Evanston, Lake Zurich, Morris, Itasca, Merrillville, Naperville, Logan Square, Bolingbrook, Northfield, Franklin Park, Calumet Park, Markham, Riverwoods, Lemont, Rolling Meadows, Orland Park, Palatine, Worth, Round Lake Beach, Western Springs, Barrington, Bensenville, Burr Ridge, Downers Grove, Batavia, North Riverside, South Holland, Geneva, La Grange Highlands, South Elgin, McCook, Hoffman Estates, Woodridge, Roselle, Chicago, Chicagoland,All Illinois Cities Abingdon, Adair, Addieville, Addison, Adeline, Albany, Albers, Albion, Aledo, Alexis, Algonquin, Alhambra, Allendale, Allenville, Allerton, Alma, Alorton, Alpha, Alsey, Alsip, Altamont, Alto Pass, Alton, Altona, Alvan, Amboy, Anchor, Andalusia, Andover, Anna, Annapolis, Annawan, Antioch, Apple Canyon Lake, Apple River, Arcola, Arenzville, Argenta, Arlington, Arlington Heights, Armington, Aroma Park, Arrowsmith, Arthur, Ashkum, Ashland, Ashley, Ashmore, Ashton, Assumption, Astoria, Athens, Atkinson, Atlanta, Atwood, Auburn, Augusta, Aurora, Ava, Aviston, Avon, Baldwin, Banner, Bannockburn, Bardolph, Barrington, Barrington Hills, Barry, Bartelso, Bartlett, Bartonville, Basco, Batavia, Batchtown, Bath, Bay View Gardens, Baylis, Beach Park, Beardstown, Beason, Beaverville, Beckemeyer, Bedford Park, Beecher, Beecher City, Belgium, Belknap, Belle Prairie City, Belle Rive, Belleville, Bellevue, Bellflower, Bellmont, Bellwood, Belvidere, Bement, Benld, Bensenville, Benson, Bentley, Benton, Berkeley, Berlin, Berwyn, Bethalto, Bethany, Big Rock, Biggsville, Bingham, Bishop Hill, Bismarck, Blandinsville, Bloomingdale, Bloomington, Blue Island, Blue Mound, Bluffs, Bluford, Bolingbrook, Bondville, Bone Gap, Bonfield, Bonnie, Boody, Boulder Hill, Bourbonnais, Bowen, Braceville, Bradford, Bradley, Braidwood, Breese, Bridgeport, Bridgeview, Brighton, Brimfield, Broadlands, Broadview, Broadwell, Brocton, Brookfield, Brooklyn, Brookport, Broughton, Browning, Browns, Brownstown, Brussels, Bryant, Buckingham, Buckley, Buckner, Buda, Buffalo, Buffalo Grove, Bull Valley, Bulpitt, Buncombe, Bunker Hill, Burbank, Bureau Junction, Burlington, Burnham, Burnt Prairie, Burr Ridge, Bush, Bushnell, Butler, Byron, Cabery, Cahokia, Cairo, Caledonia, Calhoun, Calumet City, Calumet Park, Camargo, Cambria, Cambridge, Camden, Camp Point, Campbell Hill, Campton Hills, Campus, Canton, Cantrall, Capron, Carbon Cliff, Carbon Hill, Carbondale, Carlinville, Carlock, Carlyle, Carmi, Carol Stream, Carpentersville, Carrier Mills, Carrollton, Carterville, Carthage, Cary, Casey, Caseyville, Catlin, Cave-In-Rock, Cedar Point, Cedarville, Central City, Centralia, Centreville, Cerro Gordo, Chadwick, Champaign, Chandlerville, Channahon, Channel Lake, Chapin, Charleston, Chatham, Chatsworth, Chebanse, Chemung, Chenoa, Cherry, Cherry Valley, Chester, Chesterfield, Chestnut, Chicago, Chicago Heights, Chicago Ridge, Chillicothe, Chrisman, Christopher, Cicero, Cisco, Cisne, Cissna Park, Claremont, Clarendon Hills, Clay City, Clayton, Clear Lake, Cleveland, Clifton, Clinton, Coal City, Coal Valley, Coalton, Coatsburg, Cobden, Coffeen, Colchester, Coleta, Colfax, Collinsville, Colona, Colp, Columbia, Columbus, Como, Compton, Concord, Congerville, Cooksville, Cordova, Cornell, Cornland, Cortland, Coulterville, Countryside, Cowden, Coyne Center, Crab Orchard, Crainville, Creal Springs, Crescent City, Crest Hill, Creston, Crestwood, Crete, Creve Coeur, Crossville, Crystal Lake, Crystal Lawns, Cuba, Cullom, Curran, Cutler, Cypress, Dahlgren, Dakota, Dallas City, Dalton City, Dalzell, Damiansville, Dana, Danforth, Danvers, Danville, Darien, Darmstadt, Davis, Davis Junction, Dawson, Dayton, De Land, De Pue, De Soto, De Witt, Decatur, Deer Creek, Deer Grove, Deer Park, Deerfield, DeKalb, Delavan, Detroit, Diamond, Dieterich, Divernon, Dix, Dixmoor, Dixon, Dolton, Dongola, Donnellson, Donovan, Dorchester, Dover, Dowell, Downers Grove, Downs, Du Bois, Du Quoin, Dunfermline, Dunlap, Dupo, Durand, Dwight, Eagarville, Earlville, East Alton, East Brooklyn, East Cape Girardeau, East Carondelet, East Dubuque, East Dundee, East Galesburg, East Gillespie, East Hazel Crest, East Moline, East Peoria, East St, Louis, Easton, Eddyville, Edgewood, Edinburg, Edwardsville, Effingham, El Dara, El Paso, Elburn, Eldorado, Eldred, Elgin, Elizabeth, Elizabethtown, Elk Grove Village, Elkhart, Elkville, Elliott, Ellis Grove, Ellisville, Ellsworth, Elmhurst, Elmwood, Elmwood Park, Elsah, Elwood, Emden, Emington, Energy, Enfield, Equality, Erie, Essex, Eureka, Evanston, Evansville, Evergreen Park, Ewing, Exeter, Fairbury, Fairfield, Fairmont, Fairmont City, Fairmount, Fairview, Fairview Heights, Farina, Farmer City, Farmersville, Farmington, Fayetteville, Ferris, Fidelity, Fieldon, Findlay, Fisher, Fithian, Flanagan, Flat Rock, Flora, Floraville, Florence, Flossmoor, Foosland, Ford Heights, Forest City, Forest Lake, Forest Park, Forest View, Forrest, Forreston, Forsyth, Fox Lake, Fox Lake Hills, Fox River Grove, Frankfort, Frankfort Square, Franklin, Franklin Grove, Franklin Park, Freeburg, Freeman Spur, Freeport, Fulton, Fults, Gages Lake, Galatia, Galena, Galesburg, Galva, Garden Prairie, Gardner, Garrett, Gays, Geneseo, Geneva, Genoa, Georgetown, Georgetown city, German Valley, Germantown, Germantown Hills, Gibson City, Gifford, Gilberts, Gillespie, Gilman, Gilson, Girard, Gladstone, Glasford, Glasgow, Glen Carbon, Glen Ellyn, Glencoe, Glendale Heights, Glenview, Glenwood, Godfrey, Godley, Golconda, Golden, Golden Gate, Golf, Good Hope, Goodfield, Goofy Ridge, Goreville, Gorham, Grafton, Grand Detour, Grand Ridge, Grand Tower, Grandview, Grandwood Park, Granite City, Grant Park, Grantfork, Granville, Grayslake, Grayville, Green Oaks, Green Valley, Greenfield, Greenup, Greenview, Greenville, Greenwood, Gridley, Griggsville, Gulf Port, Gurnee, Hainesville, Hamburg, Hamel, Hamilton, Hammond, Hampshire, Hampton, Hanaford, Hanna City, Hanover, Hanover Park, Hardin, Harmon, Harrisburg, Harrison, Harristown, Hartford, Hartsburg, Harvard, Harvel, Harvey, Harwood Heights, Havana, Hawthorn Woods, Hazel Crest, Hebron, Hecker, Henderson, Hennepin, Henning, Henry, Heritage Lake, Herrick, Herrin, Herscher, Hettick, Heyworth, Hickory Hills, Hidalgo, Highland, Highland Park, Highwood, Hillcrest, Hillsboro, Hillsdale, Hillside, Hillview, Hinckley, Hindsboro, Hinsdale, Hodgkins, Hoffman, Hoffman Estates, Holiday Hills, Holiday Shores, Hollowayville, Homer, Homer Glen, Hometown, Homewood, Hoopeston, Hooppole, Hopedale, Hopewell, Hopkins Park, Hoyleton, Hudson, Huey, Hull, Humboldt, Hume, Huntley, Hurst, Hutsonville, Illiopolis, Ina, Indian Creek, Indian Head Park, Indianola, Industry, Ingalls Park, Inverness, Iola, Ipava, Iroquois, Irving, Irvington, Irwin, Island Lake, Itasca, Iuka, Ivesdale, Jacksonville, Jeffersonville, Jeisyville, Jerome, Jerseyville, Jewett, Johnsburg, Johnsonville, Johnston City, Joliet, Jonesboro, Joppa, Joy, Junction, Junction City, Justice, Kampsville, Kane, Kaneville, Kangley, Kankakee, Kansas, Kappa, Karnak, Kaskaskia, Keenes, Keensburg, Keithsburg, Kell, Kempton, Kenilworth, Kenney, Kewanee, Keyesport, Kilbourne, Kildeer, Kincaid, Kinderhook, Kingston, Kingston Mines, Kinmundy, Kinsman, Kirkland, Kirkwood, Knollwood, Knoxville, La Fayette, La Grange, La Grange Park, La Harpe, La Moille, La Prairie, La Rose, Lacon, Ladd, Lake Barrington, Lake Bluff, Lake Camelot, Lake Catherine, Lake Forest, Lake Holiday, Lake in the Hills, Lake Ka-Ho, Lake of the Woods, Lake Petersburg, Lake Summerset, Lake Villa, Lake Zurich, Lakemoor, Lakewood, Lakewood Shores, Lanark, Langleyville, Lansing, LaPlace, LaSalle, Latham, Lawrenceville, Le Roy, Leaf River, Lebanon, Lee, Leland, Leland Grove, Lemont, Lena, Lenzburg, Leonore, Lerna, Lewistown, Lexington, Liberty, Libertyville, Lily Lake, Lima, Limestone, Lincoln, Lincolnshire, Lincolnwood, Lindenhurst, Lisbon, Lisle, Litchfield, Little York, Littleton, Liverpool, Livingston, Loami, Lockport, Loda, Lomax, Lombard, London Mills, Long Creek, Long Grove, Long Lake, Long Point, Longview, Loraine, Lost Nation, Lostant, Louisville, Loves Park, Lovington, Ludlow, Lyndon, Lynnville, Lyons, Macedonia, Machesney Park, Mackinaw, Macomb, Macon, Madison, Maeystown, Magnolia, Mahomet, Makanda, Malden, Malta, Manchester, Manhattan, Manito, Manlius, Mansfield, Manteno, Maple Park, Mapleton, Maquon, Marengo, Marietta, Marine, Marion, Marissa, Mark, Markham, Maroa, Marquette Heights, Marseilles, Marshall, Martinsville, Martinton, Maryville, Mascoutah, Mason, Mason City, Matherville, Matteson, Mattoon, Maunie, Maywood, Mazon, McClure, McCook, McCullom Lake, McHenry, McLean, McLeansboro, McNabb, Mechanicsburg, Media, Medora, Melrose Park, Melvin, Mendon, Mendota, Menominee, Meredosia, Merrionette Park, Metamora, Metcalf, Metropolis, Mettawa, Middletown, Midlothian, Milan, Milford, Mill Creek, Mill Shoals, Millbrook, Milledgeville, Millington, Millstadt, Milton, Mineral, Minier, Minonk, Minooka, Mitchell, Modesto, Mokena, Moline, Momence, Monee, Monmouth, Monroe Center, Montgomery, Monticello, Montrose, Morris, Morrison, Morrisonville, Morton, Morton Grove, Mound City, Mound Station, Mounds, Mount Auburn, Mount Carmel, Mount Carroll, Mount Clare, Mount Erie, Mount Morris, Mount Olive, Mount Prospect, Mount Pulaski, Mount Sterling, Mount Vernon, Mount Zion, Moweaqua, Muddy, Mulberry Grove, Mulkeytown, Muncie, Mundelein, Murphysboro, Murrayville, Naperville, Naplate, Naples, Nason, Nauvoo, Nebo, Nelson, Neoga, Neponset, New Athens, New Baden, New Bedford, New Berlin, New Boston, New Canton, New Douglas, New Grand Chain, New Haven, New Holland, New Lenox, New Milford, New Minden, New Salem, Newark, Newman, Newton, Niantic, Niles, Nilwood, Noble, Nokomis, Nora, Normal, Norridge, Norris, Norris City, North Aurora, North Barrington, North Chicago, North City, North Henderson, North Pekin, North Riverside, North Utica, Northbrook, Northfield, Northlake, Norwood, O'Fallon, Oak Brook, Oak Forest, Oak Grove, Oak Lawn, Oak Park, Oak Run, Oakbrook Terrace, Oakdale, Oakford, Oakland, Oakwood, Oakwood Hills, Oblong, Oconee, Odell, Odin, Ogden, Oglesby, Ohio, Ohlman, Okawville, Old Mill Creek, Old Ripley, Old Shawneetown, Olive Branch, Olivet, Olmsted, Olney, Olympia Fields, Omaha, Onarga, Oneida, Opdyke, Oquawka, Orangeville, Oreana, Oregon, Orient, Orion, Orland Hills, Orland Park, Oswego, Ottawa, Otterville, Owaneco, Paderborn, Palatine, Palestine, Palmer, Palmyra, Palos Heights, Palos Hills, Palos Park, Pana, Panama, Panola, Papineau, Paris, Park City, Park Forest, Park Ridge, Parkersburg, Patoka, Paw Paw, Pawnee, Paxton, Payson, Pearl, Pearl City, Pecatonica, Pekin, Penfield, Peoria, Peoria Heights, Peotone, Percy, Perry, Peru, Pesotum, Petersburg, Phillipstown, Philo, Phoenix, Pierron, Pinckneyville, Pingree Grove, Piper City, Pistakee Highlands, Pittsburg, Pittsfield, Plainfield, Plainville, Plano, Plattville, Pleasant Hill, Pleasant Plains, Plymouth, Pocahontas, Polo, Pontiac, Pontoon Beach, Pontoosuc, Poplar Grove, Port Barrington, Port Byron, Posen, Potomac, Prairie City, Prairie du Rocher, Prairie Grove, Prestbury, Preston Heights, Princeton, Princeville, Prophetstown, Prospect Heights, Pulaski, Quincy, Radom, Raleigh, Ramsey, Rankin, Ransom, Rantoul, Rapids City, Raritan, Raymond, Red Bud, Reddick, Redmon, Rentchler, Reynolds, Richmond, Richton Park, Richview, Ridge Farm, Ridgway, Ridott, Ringwood, Rio, Ripley, River Forest, River Grove, Riverdale, Riverside, Riverton, Riverwoods, Roanoke, Robbins, Roberts, Robinson, Rochelle, Rochester, Rock City, Rock Falls, Rock Island, Rock Island Arsenal, Rockbridge, Rockdale, Rockford, Rockton, Rockwood, Rolling Meadows, Rome, Romeoville, Roodhouse, Roscoe, Rose Hill, Roselle, Rosemont, Roseville, Rosewood Heights, Rosiclare, Rossville, Round Lake, Round Lake Beach, Round Lake Heights, Round Lake Park, Roxana, Royal, Royal Lakes, Royalton, Ruma, Rushville, Russellville, Rutland, Sadorus, Sailor Springs, Salem, Sammons Point, San Jose, Sandoval, Sandwich, Sauget, Sauk Village, Saunemin, Savanna, Savoy, Sawyerville, Saybrook, Scales Mound, Schaumburg, Schiller Park, Schram City, Sciota, Scott AFB, Scottville, Seaton, Seatonville, Secor, Seneca, Sesser, Seymour, Shabbona, Shannon, Shawneetown, Sheffield, Shelbyville, Sheldon, Sheridan, Sherman, Sherrard, Shiloh, Shipman, Shorewood, Shumway, Sibley, Sidell, Sidney, Sigel, Silvis, Simpson, Sims, Skokie, Sleepy Hollow, Smithboro, Smithfield, Smithton, Somonauk, Sorento, South Barrington, South Beloit, South Chicago Heights, South Elgin, South Holland, South Jacksonville, South Pekin, South Roxana, South Wilmington, Southern View, saferland, saferta, safeulding, Spillertown, Spring Bay, Spring Grove, Spring Valley, Springerton, Springfield, St, Anne, St, Augustine, St, Charles, St, David, St, Elmo, St, Francisville, St, Jacob, St, Johns, St, Joseph, St, Libory, St, Peter, Standard, Standard City, Stanford, Staunton, Ste, Marie, Steeleville, Steger, Sterling, Steward, Stewardson, Stickney, Stillman Valley, Stockton, Stone Park, Stonefort, Stonington, Stoy, Strasburg, Strawn, Streamwood, Streator, Stronghurst, Sublette, Sugar Grove, Sullivan, Summerfield, Summit, Sumner, Sun River Terrace, Swansea, Sycamore, Symerton, Table Grove, Tallula, Tamaroa, Tamms, Tampico, Taylor Springs, Taylorville, Tennessee, Teutopolis, Thawville, Thayer, The Galena Territory, Thebes, Third Lake, Thomasboro, Thompsonville, Thomson, Thornton, Tilden, Tilton, Timberlane, Time, Tinley Park, Tiskilwa, Toledo, Tolono, Toluca, Tonica, Topeka, Toulon, Tovey, Towanda, Tower Hill, Tower Lakes, Tremont, Trenton, Trout Valley, Troy, Troy Grove, Tuscola, Twin Grove, Ullin, Union, Union Hill, University Park, Urbana, Ursa, Valier, Valley City, Valmeyer, Vandalia, Varna, Venedy, Venetian Village, Venice, Vergennes, Vermilion, Vermont, Vernon, Vernon Hills, Verona, Versailles, Victoria, Vienna, Villa Grove, Villa Park, Viola, Virden, Virgil, Virginia, Volo, Wadsworth, Waggoner, Walnut, Walnut Hill, Walshville, Waltonville, Wamac, Wapella, Warren, Warrensburg, Warrenville, Warsaw, Washburn, Washington, Washington Park, Wataga, Waterloo, Waterman, Watseka, Watson, Wauconda, Waukegan, Waverly, Wayne, Wayne City, Waynesville, Weldon, Wellington, Wenona, Wenonah, West Brooklyn, West Chicago, West City, West Dundee, West Frankfort, West Peoria, West Point, West Salem, West Union, West York, Westchester, Western Springs, Westervelt, Westfield, Westmont, Westville, Wheaton, Wheeler, Wheeling, White City, White Hall, White Heath, Whiteash, Williamsfield, Williamson, Williamsville, Willisville, Willow Hill, Willow Springs, Willowbrook, Willowbrook CDP, Wilmette, Wilmington, Wilmington city, Wilsonville, Winchester, Windsor, Windsor city, Winfield, Winnebago, Winnetka, Winslow, Winthrop Harbor, Witt, Wonder Lake, Wood Dale, Wood River, Woodhull, Woodland, Woodlawn, Woodridge, Woodson, Woodstock, Worden, Worth, Wyanet, Wyoming, Xenia, Yale, Yates City, Yorkville, Zeigler, Zion.